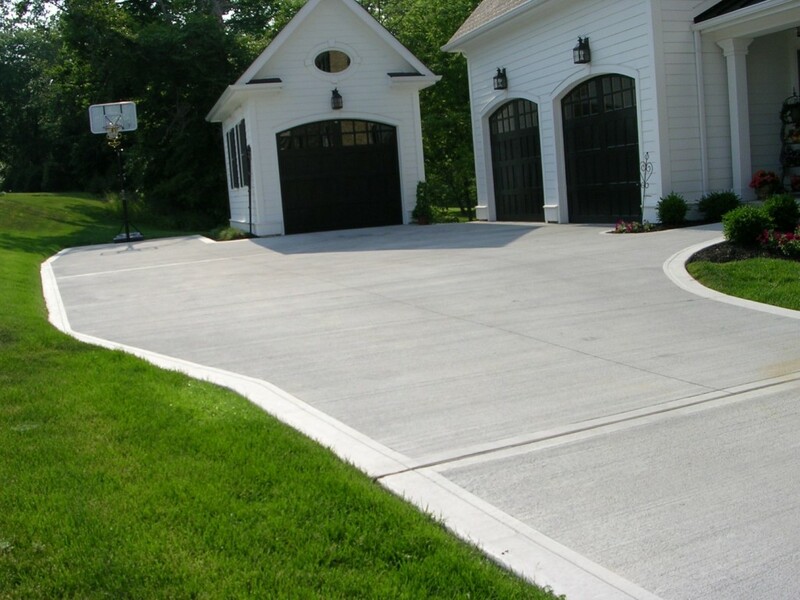 Concrete is considered to be the longest lasting and most durable material for driveway paving. Although asphalt is usually less expensive, it requires more maintenance and it’s lifespan is generally considered half of that of a concrete driveway. An asphalt driveway will also usually cost seventy five percent of a concrete driveway. A concrete driveway will also increase the value of your home more than an asphalt and give you much more curb appeal. Taking all this into consideration, concrete will give you the best return on your investment. Concrete is only as good as the base underneath it. We start with a premium gravel base that is mechanically compacted. Forms are placed for the desired shape and size of your new driveway. Rebar reinforcement is then placed and tied for proper structural reinforcement. The concrete is then placed with the specified mix design from the ready mix supplier. We specify a super plasticizing admixture in all of our concrete driveways for higher strength and durability. 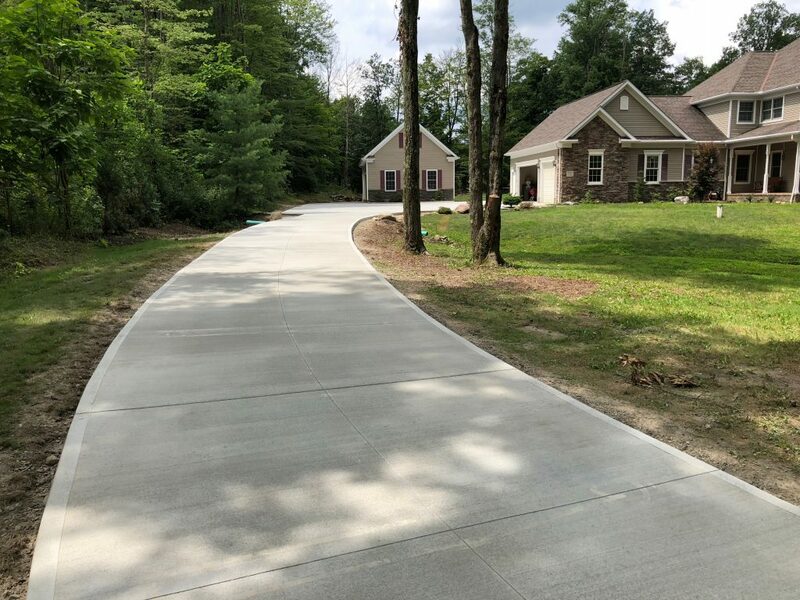 The concrete mix will also have fiber reinforcement for secondary reinforcement to minimize cracking and improve impact resistance of the driveway. 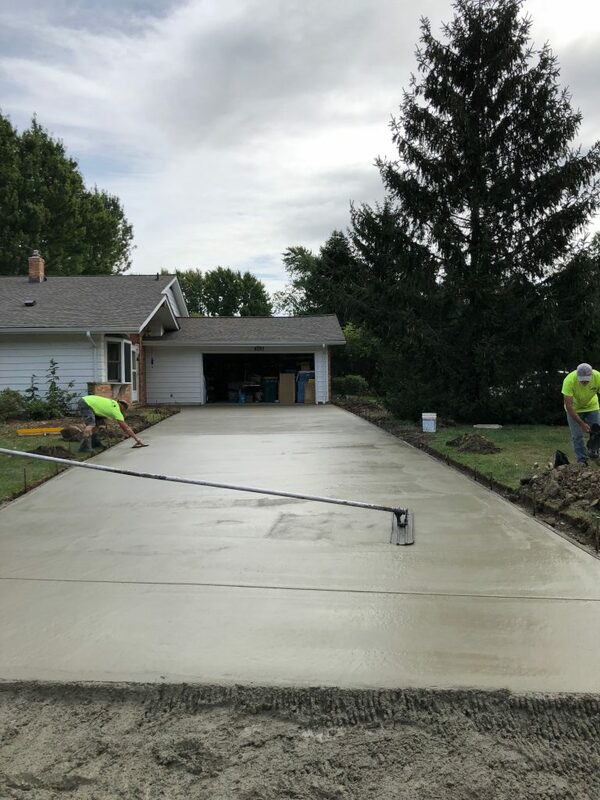 We double reinforce all of the concrete driveways we place for the longest lasting driveway, something most contractors don’t do. After the concrete is finished, we apply a membrane forming cure. This properly cures your concrete so it achieves its mix design strength. These steps create the most durable, longest lasting driveway possible, generally giving you a lifetime of service. 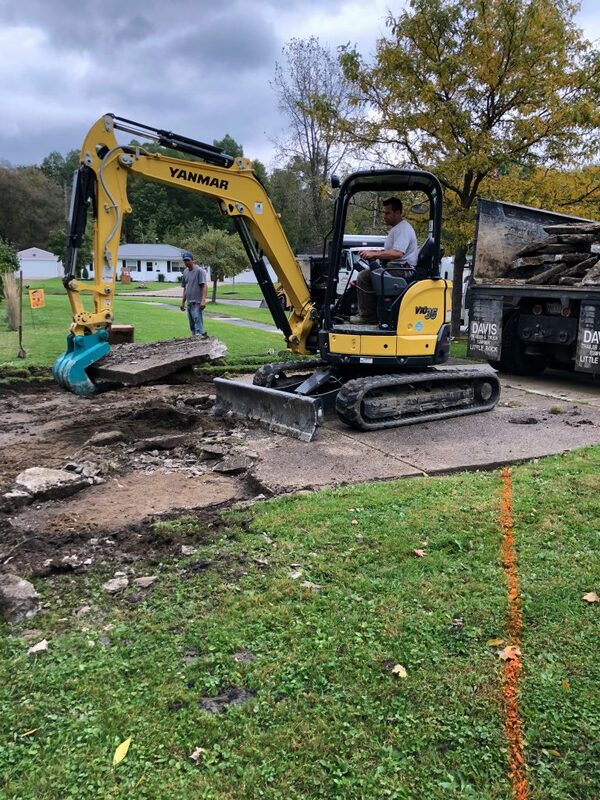 DiFranco Contractors was established in 1996 and has been a concrete contractor servicing the Greater Cleveland area for over 20 years. Gianni, the owner of DiFranco Contractors, works with a small, highly efficient crew to install your new concrete driveway. We offer the best value in concrete driveway installations and stand behind our work. Please contact us today for a free, no obligation estimate. Proudly servicing Russell Township OH, Chagrin Falls OH, Pepper Pike OH, Beachwood OH, Gates Mills OH, Moreland Hills OH, Hunting Valley OH, Bainbridge Township OH, Auburn Township OH, Highland Heights OH, Chesterland OH and Greater Cleveland Ohio.